3 Toxicity: ¿Are bearberries dangerous? – Spanish: Gayuba, uva de oso. Scientific noun: Arctostaphylos uva-ursi (L.) Spreng. 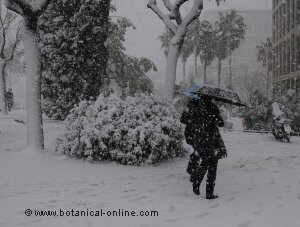 – Synonyms: Arctostaphylos adenotricha (Fernald & J.F. Macbr.) A. Löve & D. Löve & Kapoor = Arbutus uva-ursi L.
Habitat: In sparse woods and mountain heaths. 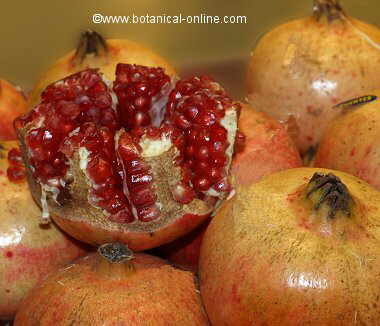 he fruit is a drupe, red in maturity, about 8 mm wide. 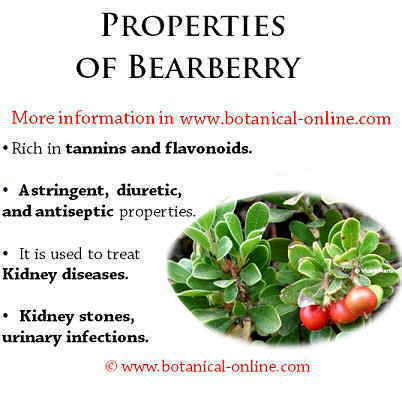 Bearberry constitutes one of the most used remedies to treat the ailments of the urinary tract. 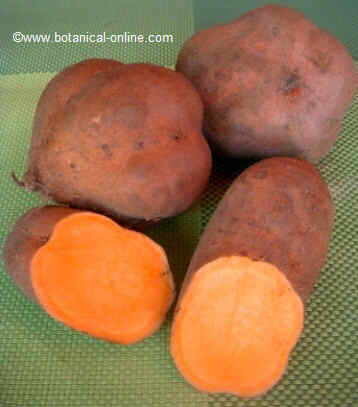 It is used fundamentally in cases of infections taken place by bacteria. 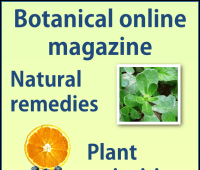 However, to carry out this function, it is necessary that our urine should not be acid, so most of the treatments carried out by means of this plant usually combine it with the bicarbonate ingestion that neutralizes the acidity of the urine, making it alkaline. Therefore it is appropriate for the treatment of illnesses like inflammations of the urethra (urethritis), of the urinary bladder (cystitis), irritation of the urinary tracts and it acts about the imperious necessity of urinating that these urinary affections generate, so it can be used for urinary incontinence. These effects are attributed to the arbutin that becomes hydroquinone when it enters in contact with the intestinal flora. Another important factor is its high content in tannins (15 to 20%) that act on the purulent secretions that these illnesses generate. 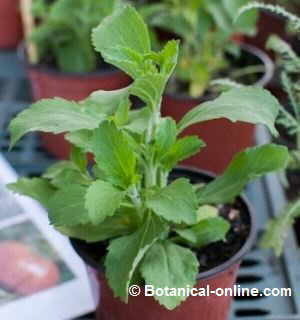 – Powder several leaves and take 2 tea spoonfuls a day. It can be mixed with honey to make it more pleasant. – 20 drops of fluid extract twice a day. – Mixed infusion of half a spoonful of goldenrod and a half of bearberry in a glass of water for 10 minutes. A couple of cups a day. 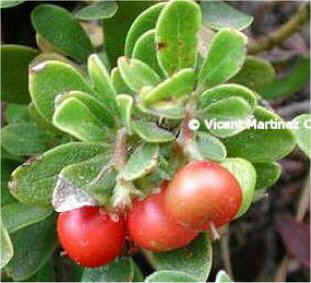 Bearberry constitutes one of the best diuretics when it is necessary to increase the production of the urine. 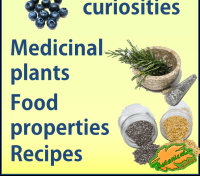 This property can be used, for example to treat obesity or for liquid retention (Infusion of four spoonfuls of dry leaves in a liter of water. Take 3 glasses a day). it seems that flavonoides grant it this property. 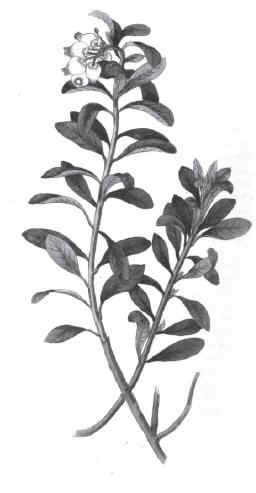 – The leaves of this plant, for its high content in tannins, have been used to tan skins. – The pharmaceutical industry extracts components to whiten human skins, avoiding a too dark coloring, or to remove stains of the skin, mainly in people subjected to a too prolonged solar exposure, in grown-ups as a result of a biological process, in people that are subjected to certain medications, or during pregnancy. These medications are applied in form of gels or creams and they contain the extract of the bearberry or vegetable oils, as that of almond. 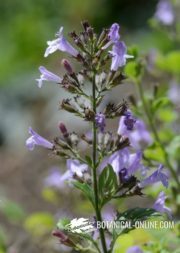 What this plant does is to intervene in the melanogenesis process or formation of the melanin or dark pigment which gives the dark color of the skin. The action is carried out by a component called hydroquinone, which neutralizes the enzyme tyrosinase, a catalyser which is necessary for the formation of the melanine from the oxidation of tyrosine. The scientific latin name uva-ursi (=Grape of the bears in English) is due to the liking that these plantigrades have for the fruit of this plant. For the humans, although it is eatable, it has a rough and not very pleasant taste, although it is good when it is prepared in marmalades. Because of the tannins, when the allowed doses are exceeded or when we prolong its use too much, the plant becomes toxic, irritating the digestive tract, which produces adverse stomach reactions as vomits, gastritis, uneasiness in the sphincters, etc. In the same way, if this component is incorrectly used, it can produce damages in the liver. Hydroquinone is also poisonous with overdosage, which can be deathly. This plant should not be used during the pregnancy, being able to produce deformity in the fetus or induce to a premature childbirth. It should also be avoided in the event liver illness. Neither it should be used with children.